Just one example of the prominence cast stone moldings, such as window and door surrounds, can bring to the entrance of any home. Our premier craftsmanship and highest grade cast stone materials result in the sharpest detail and greatest durability available. 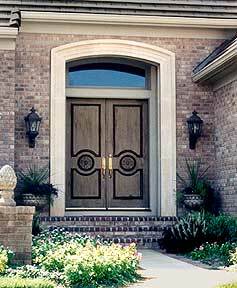 And all our cast stone window and door surrounds are offered in several colors and smooth or travertine cast stone. Call or email to receive a chart of our cast stone molding profiles, or to speak with one of our project managers about your cast stone moulding project.